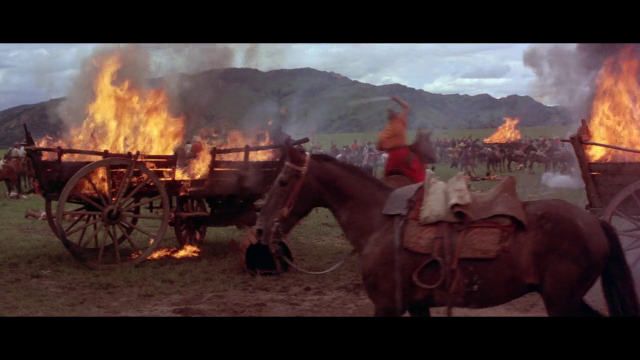 The spectacular hordes of Cossack horsemen flying across the steppes to do battle with first one enemy and then another are the highlights of this otherwise thinly scripted costume drama set in the 16th century in the Ukraine. 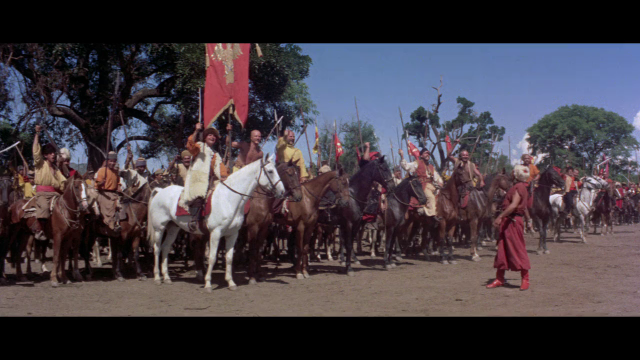 After the Cossack leader Taras Bulba (Yul Brynner) makes a pact with the Poles to join forces against the Turks and drive them from the European steppes, victory brings betrayal as the Poles then turn on their ally and force the Cossacks into the hills. 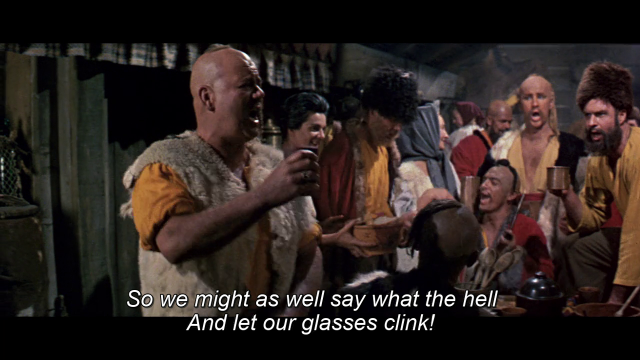 From there, Taras Bulba decides that one of his sons, Andrei (Tony Curtis), will be sent to Polish schools to better learn the nature of their enemy. While away from home and hearth, the adult Andrei falls in love with a Polish noblewoman, Natalia (Christine Kaufmann, who would become the second Mrs. Curtis). As time progresses, the tensions between father and son, loyalty and love, ethnic identity and assimilation steadily increase until they end in tragedy. 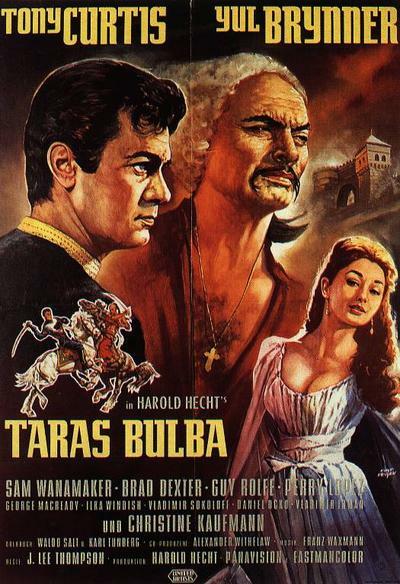 Taras Bulba was nominated for a 1963 Academy Award for “Best Music”, scored by Franz Waxman (By Eleanor Mannika, from Allmovie).